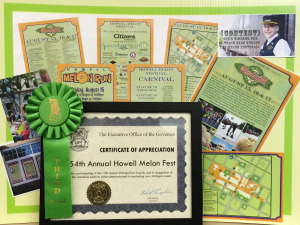 Michigan Festivals & Events Association announces the 54th Annual Howell MelonFest as the 3rd place winner in the MichiganFun Awards Promotional Budget over $50,000 category. The MFEA MichiganFun Award winners were recently honored at an awards ceremony and luncheon held Nov. 7 during the 22nd Annual Michigan Festivals and Events Association Convention in Kalamazoo. The MFEA MichiganFun Awards competition draws entries from festivals and events throughout all of Michigan. Entries are divided into three budget levels; Promotional Budget under $20,000, Promotional Budget between $20,000 & $50,000 and Promotional Budget over $50,000. The prestigious “Peoples’ Choice Award” goes to the entry deemed the favorite of all MFEA Convention Attendees. There were 16 entries representing proud communities that celebrate and promote Michigan’s heritage, agriculture, talents, four seasons, history, products, sports, foods and magnificent waterways. Michigan Festivals & Events Association is the largest state association of its kind in the nation. 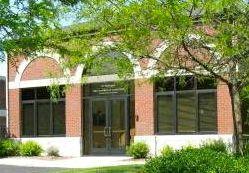 Membership includes upwards of 800 Michigan communities and organizations statewide. MFEA programs provide educational and professional development for its member community volunteer organizations that host festivals, fairs and other celebratory events throughout the state. Additionally, by pooling resources and leveraging opportunities, MFEA is consistently helping communities promote their events. To learn more about MFEA, visit www.michiganfun.com. For more information on the MelonFest, contact the Howell Area Parks & Recreation Authority at 517.546.0693.